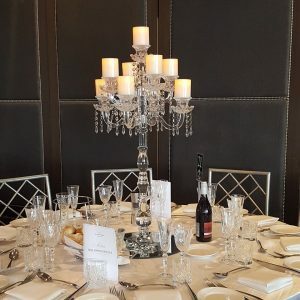 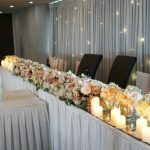 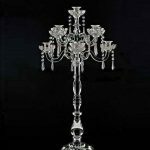 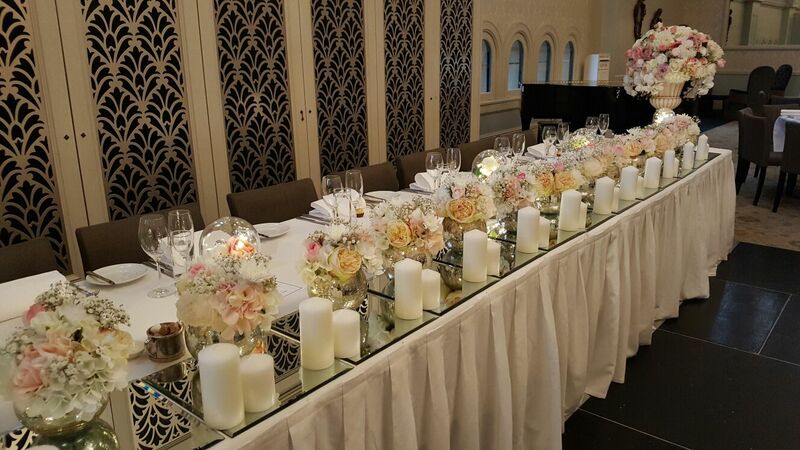 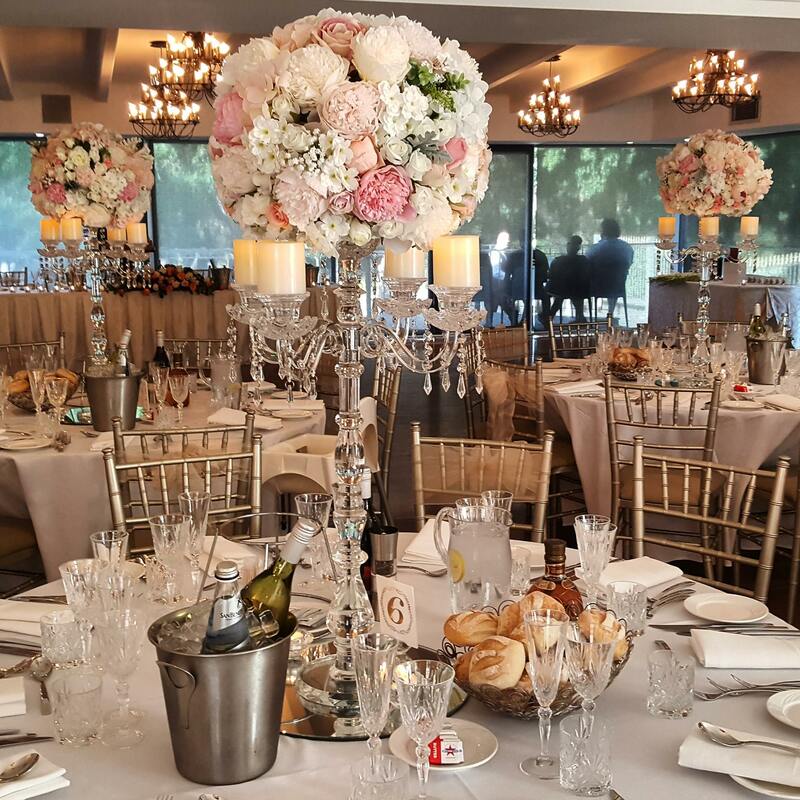 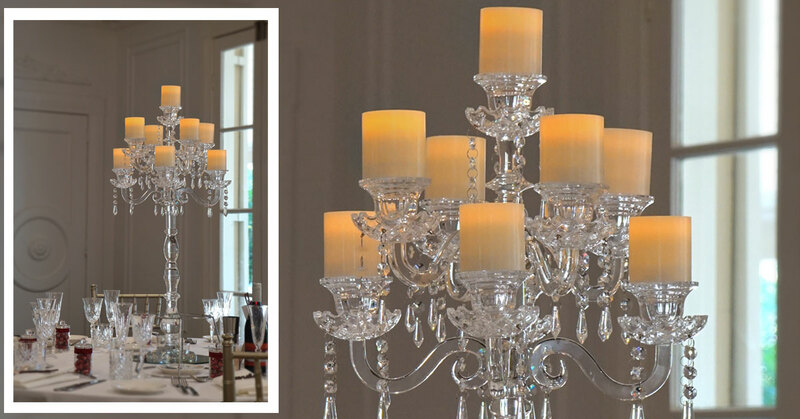 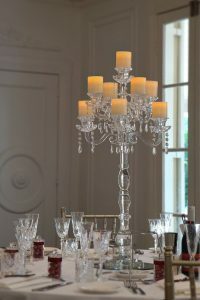 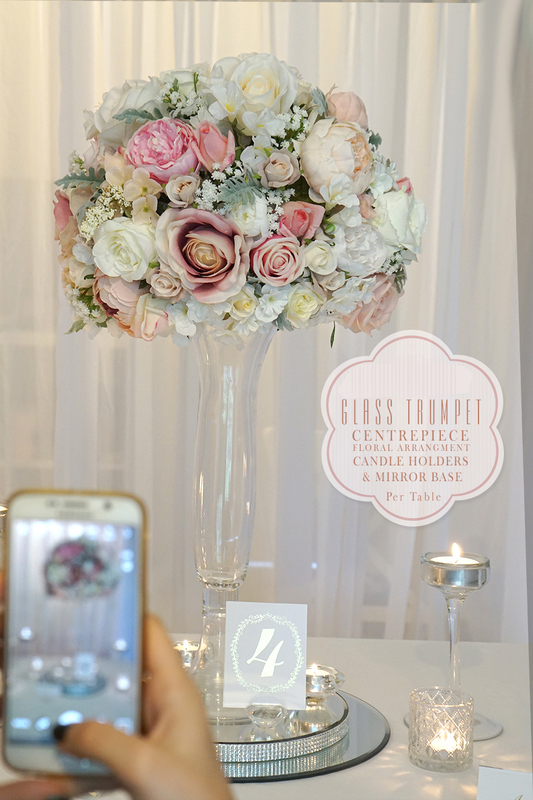 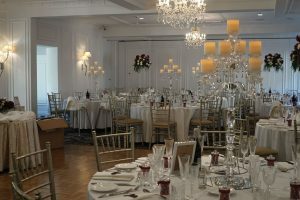 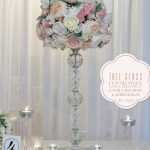 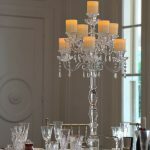 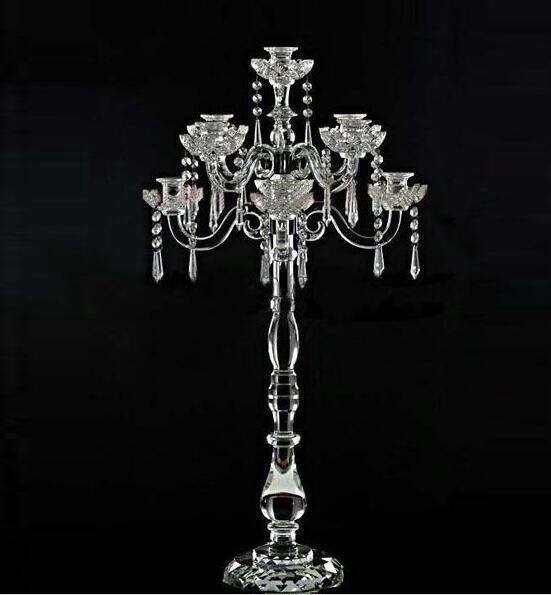 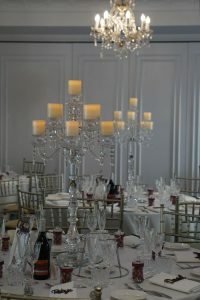 Wedding centerpiece Candelabra Hire Sydney, luxury Crystal Candelabra with WAX led pillar candles. 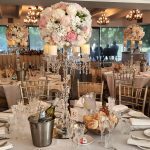 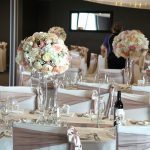 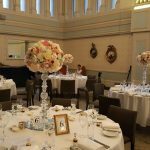 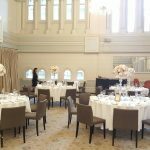 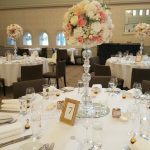 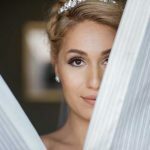 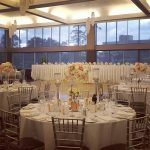 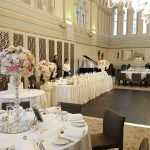 Delivery and setup to your wedding venue Sydney wide. 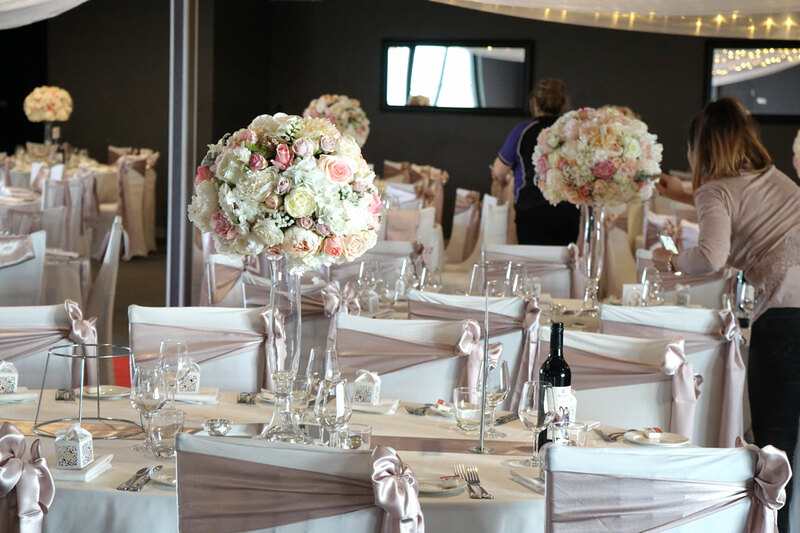 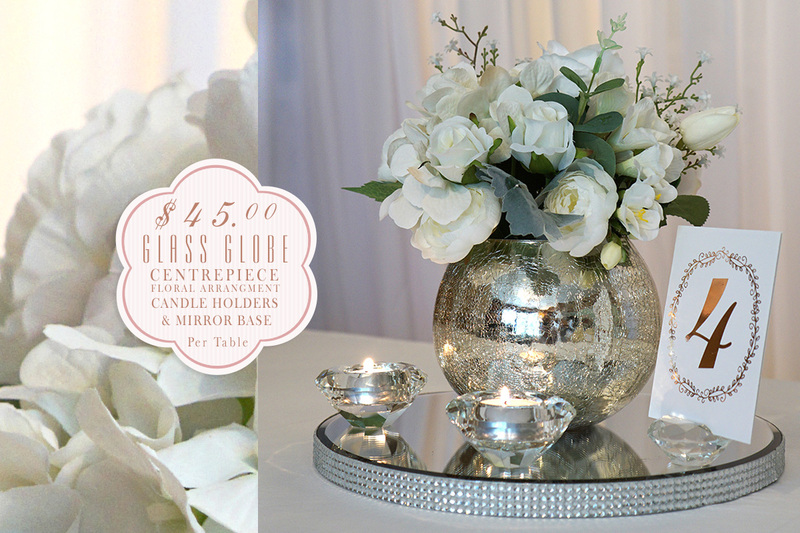 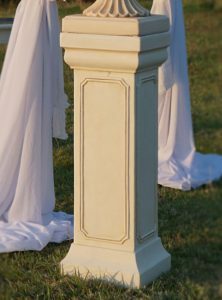 Our luxury elegant wedding centrepiece hire range. 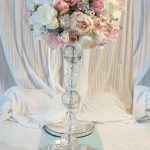 Cyrstal Candelabra Centerpiece Mix Silk & Fresh Real Cut Flowers – 12 available – contact us for pricing. 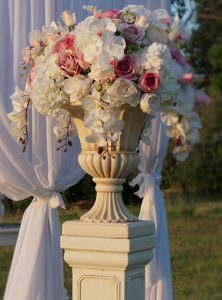 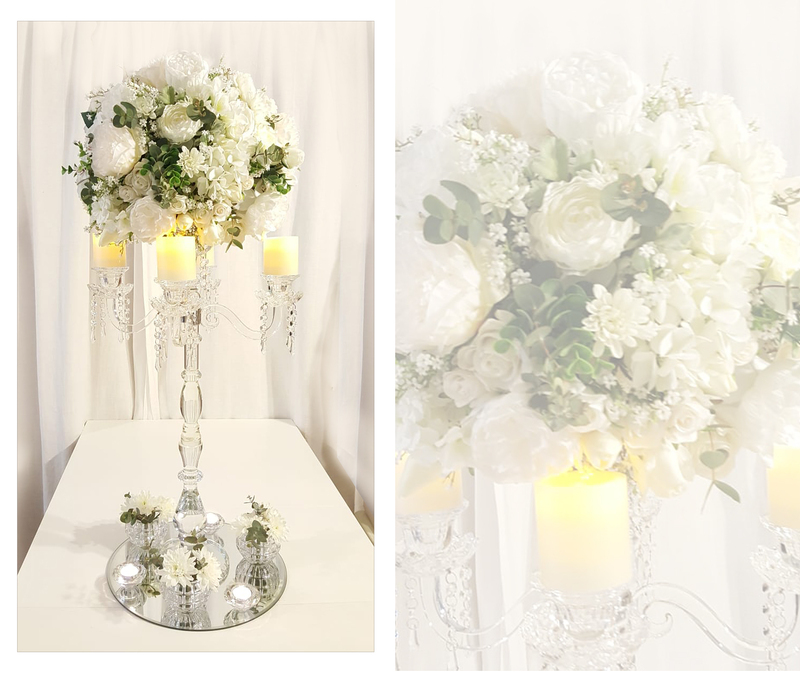 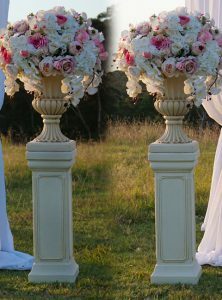 Tall Glass Centerpiece with White Silk Flowers & Fresh Real Cut Flowers – 12 available – contact us for pricing. 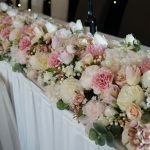 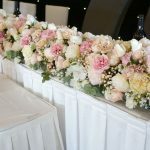 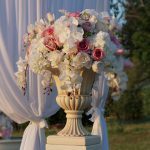 Bridal Table Silk Flower runner – low silk flower table runner, color scheme matches our silk flower balls – contact us for price. 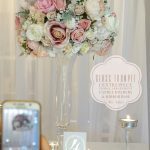 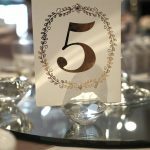 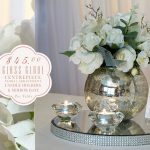 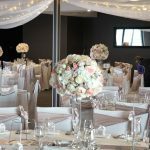 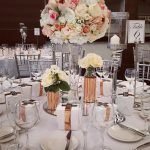 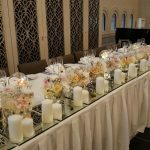 Table Decor Accessories – round mirrors (lrg or small), small glass vases, glass tea light candle holders, table numbers & holders. 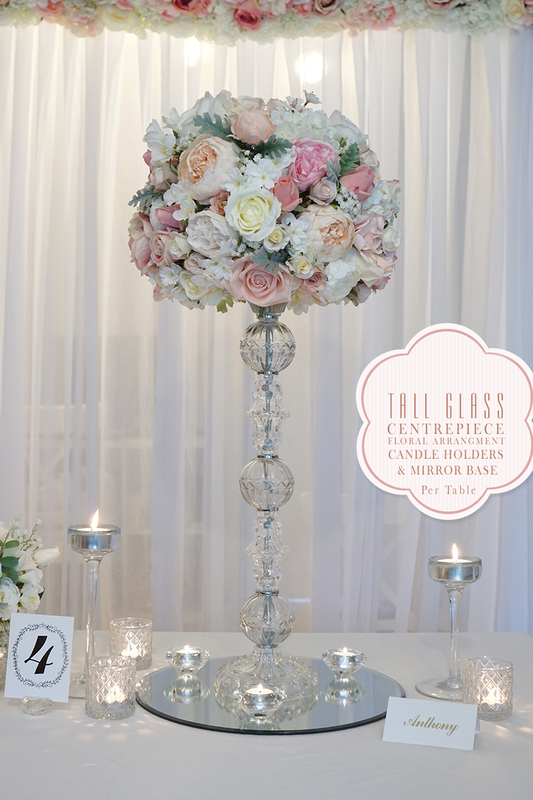 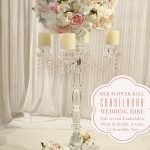 Large silk flower balls are hand made and fit perfectly on our Candelabras, Tall glass and trumpet centerpiece vases. 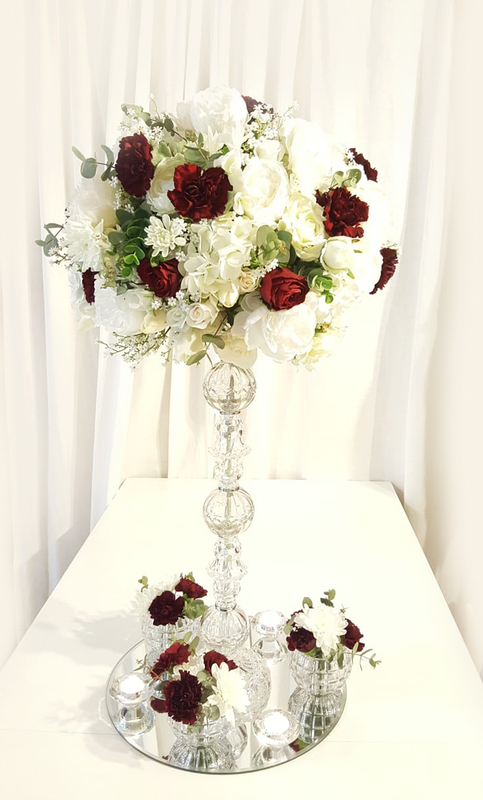 Add Real Fresh cut flowers to our silk flower balls arrangements to create a realistic arrangement for a fraction of the price of fresh flower ball! 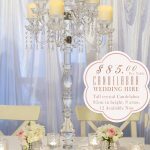 Please note there is a minimum hire spend of $600 per booking, setup and delivery priced on inquiry.